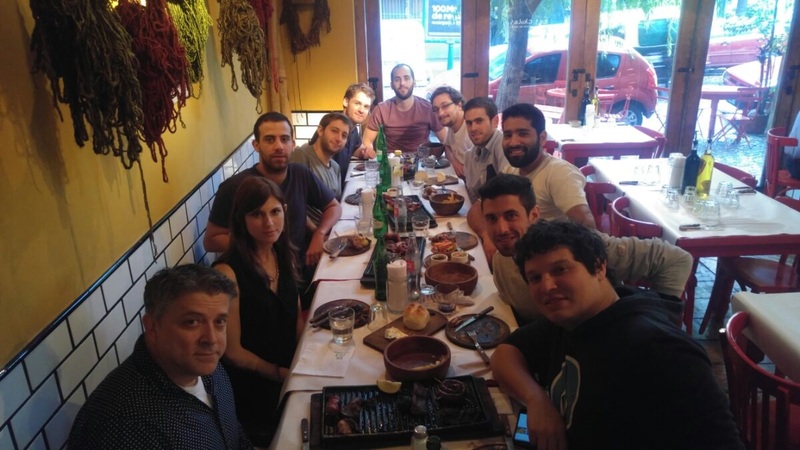 Coalfire is Hexacta’s client since 2014 and recently, two of his Product Owners came to Buenos Aires and worked for a couple weeks alongside our team. What has been their experience working with us throughout these years? Let’s watch the video! A couple weeks ago our headquarters in Buenos Aires were visited by Nick Evans and Miguel Salas, Product Owners of Coalfire, a cyber security consulting firm based in Seattle, Washington (USA) with whom Hexacta has been working on the development of the CoalfireOne application – a tool used by both advisors and clients for the management and administration of assessments. 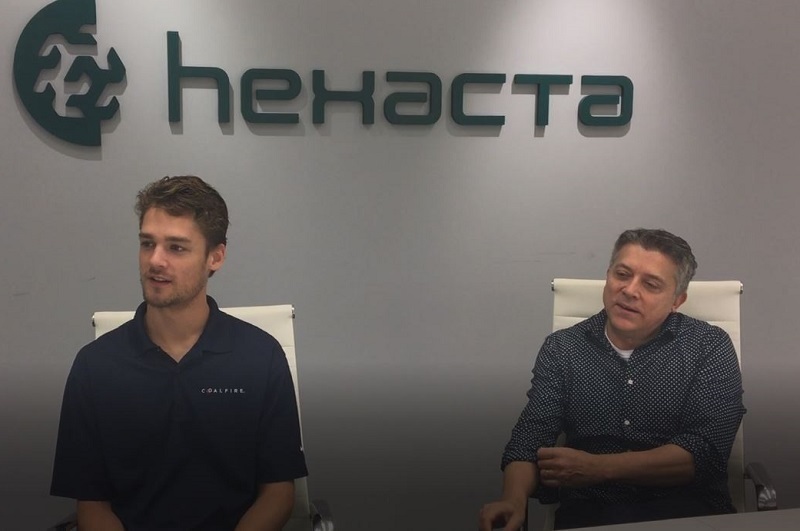 Their visit had a few clear goals: To work side by side with the Hexacta team (developers and testers), to meet some of them personally and to experience first-hand “where the magic happens” at Hexacta’s offices. As we took advantage of their stay, we wanted to share one of our software dev success stories with them, and so we asked them about their experience working with an offshore software development company as Hexacta, and they shared this with us. Do not miss the video! What is Coalfire and What do you do in the Company? Nick Evans: Coalfire is a cyber security consulting firm. We are in a bunch of different spaces like the payment industry, healthcare industry, federal industry… pretty different industries. Basically, what Coalfire does is smooth services that we offer to our clients, anywhere from consulting work to professional pediatrician tests. Essentially, what Coalfire is trying to do is bring our clients up to compliance, find any vulnerability within the client’s network and expose them for solving malicious attacks. We have a set of products, called Coalfire One, that is exposed to our clients and internal employees and I work as a Product Owner for the product, so I work with Hexacta developers and the clients. Miguel Salas: It is very important that what we do is maintain the trust of our clients and we can depend on our partners, Hexacta, to help us in keeping that trust. Why does Coalfire choose Hexacta for development and testing? Miguel Salas: I had the opportunity to work with a lot of different contracting companies in this field, both onshore and offshore and it can be really challenging when you are trying to develop a product in real time. So what Hexacta gives us is very fast responses when working with the engineering team and since we develop using an Agile framework, using Scrum, the communication is key when you are trying to complete the Sprint. It is not just writing the requirements and throwing them at the team. We are able to engage in real time with the team and you do not see this with a lot of other contracting companies. What differences does Coalfire find between Hexacta and other contractors? Nick Evans: I personally don’t have a lot of experience with other contracting firms but, from my experience with Hexacta, I definitely get the sense that they are invested in CoalfireOne application and they are not afraid to speak up when they have concerns or problems with our plain features. That is something I can definitely appreciate instead of taking the usual requirements and go on to work. If they have issues with what they are reading and what they are hearing during our planning sessions before featuring, they are going to speak up if there is a technical concern. I think it adds user experience and that is something I can definitely appreciate from the team. Miguel Salas: And again… I have to say the communication and the investment from the team in trying to continuously improve not only their processes but ours. So in Sprint over Sprint we are getting better at development software really quickly and part of that is very much the investment that Hexacta has done making our product successful. How is the relationship with Hexacta’s team? If it is a good one, do you think it is a plus? Miguel Salas: Having worked with lots and lots of different engineering teams as a Product Owner, I am only as good as my developers and my testers and I am only as good as the communication we have on a daily basis, not just stand-ups, but if somebody has a questions they can reach me and call me and we can solve it. So, it makes your firm a better experience than a lot of onshore teams that I have worked with. You know, teams are based in Seattle. Working with lots and lots of engineering teams and they work as a team as opposed to just moving code from development to test, they are doing more compress waterfalls. You really are getting Scrum when you ask for Scrum. What are the advantages of having development and testing in the same company? Nick Evans: I think the biggest advantage I see is that, most of times, testers are sitting next desk over from the developer and brings you to diminish the communication barrier. After time, the testers will understand the implementation a little bit more, which leads to a more efficient testing, deeper level of understanding of the product and ultimately, less bugs go in production which is always a good thing for the product. Miguel Salas: Coming from a testing background and also, having worked with different programs, you want to catch the defects of the game, you know, how you try to integrate and find what is broken so the next point when you are sitting next to the developer you can say: “Hey, is it really doing what it is supposed to do”. And if you are going to fail, fail fast and fix it fast and you can get to the ship point. Are you satisfied with the general level of testing of Hexacta? Nick Evans: I would say yes, absolutely. There is always room for improvement and when it is getting more difficult on technical testing, there is always room for improvement from a testing point of view on the breadth of knowledge. You can understand one feature very well, but it is always the tester goal to understand the entire product that leads to better testing. One feature may affect another feature, the tester can always strive to understand the entire product as a whole for planning testing effort. Miguel Salas: Yes, I’m totally satisfied. There are some instances where bugs can come back and that is because somebody is taking the time to think about some bugs and the dev from a more user experience or user perspective, will come up with a defect and you think “why didn´t we think of that!” It is nice to have that safety net. Miguel Salas and Nick Evans from Coalfire having lunch with Hexacta´s development team. Coalfire helps organizations comply with global financial, government, industry, and healthcare mandates while helping build the IT infrastructure and security systems that will protect their business from security breaches and data theft. The company is a leading provider of IT advisory services for security in retail, payments, healthcare, financial services, higher education, hospitality, government, and utilities. If we want to talk about success stories in software development, the one that Coalfire has shared with us, is definitely one of them. Learn more about Hexacta’s clients, what we have been able to accomplish for them, and the solutions we have provided to their specific needs, here. Next Software testing: Is the functional tester doomed to disappear?